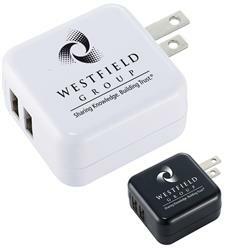 We love this wall charger AC to USB Adapter all with your custom logo. UL certified so you know it is built with quality in mind. 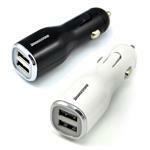 Power Adapter with two outputs allows you to charge a smartphone and tablet at the same time. Output: 5V/1000mA/2100mA max. USB cable not included. Gift boxed. UL certified. 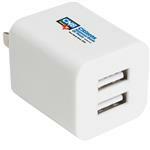 Power Adapter with two outputs allows you to charge a smartphone and tablet at the same time. Output: 5V/1000mA/2100mA max. USB cable not included. Individually Gift Boxed. 23 pounds per 250 pieces.